Squeeze it, stretch it, squish it, squash it. Nice nubby surface. Bet you can't put it down! 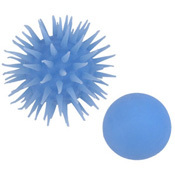 These balls are super-soft, wobbly, squishy, stretchy and flexible…a wonderful tactile experience! Round on one side, spiky on the other, easily turn them inside out and back again with one quick move! Latex free! 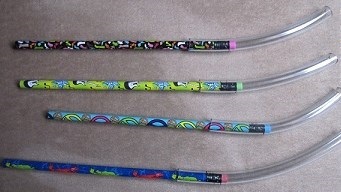 Kids simply love the Twist 'n Write pencil because its fun to use and it gets them excited about writing! Specifically for children's small hands it promotes a functional tripod pencil grasp. 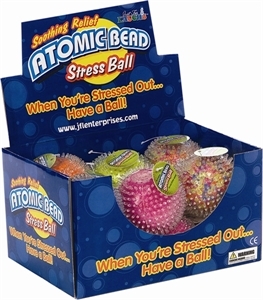 Filled with mini spheres in hot neon colors the DNA Ball is an awesome stress reliever, fidget toy, and hand strengthener. Once you pick it up you won’t want to put it down! Its gelatinous texture provides ongoing sensory satisfaction!